3. Copy below code and paste it just before the ]]></b:skin> tag. &lt;!-- If the slide contains multiple elements you should wrap them in a div with the class .showcase-content-wrapper. This is a tooltip that displays the anchor html in a nice way. 7. Go to Layout-->Page Elements and click on "Add a gadget".Select "html/java script" and add the code given below and click save. 8. Now drag your new gadget Top of "Blog Posts" Section. Here it is my url http://realezaurbanamagazine.com , I don't know whats wrong the slider is frozen and is not moving, so I just removed it, I think is some script not letting the slider work, the template that I'm using is Tech Mesh. 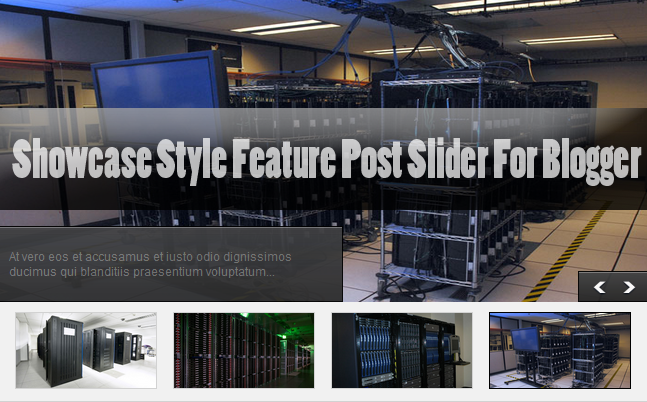 Any ideas in how to make the slider work?, I would really like to have it in my blog, thank you. I used this slider, but after the last slide image it got stuck. how can i make my slider continous?